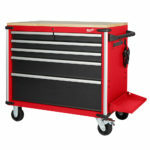 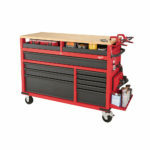 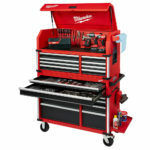 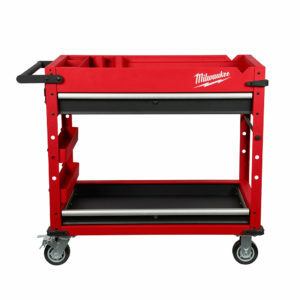 Milwaukee announces a new 40″ steel work cart 48-22-8590 which is their latest addition to their steel storage solutions. 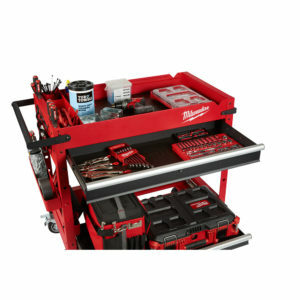 The new Milwaukee 40” Steel Work Cart shares many similarities to it’s other steel storage solutions such as a strong reinforced frame, 5” industrial casters, and a 700lbs weight capacity. 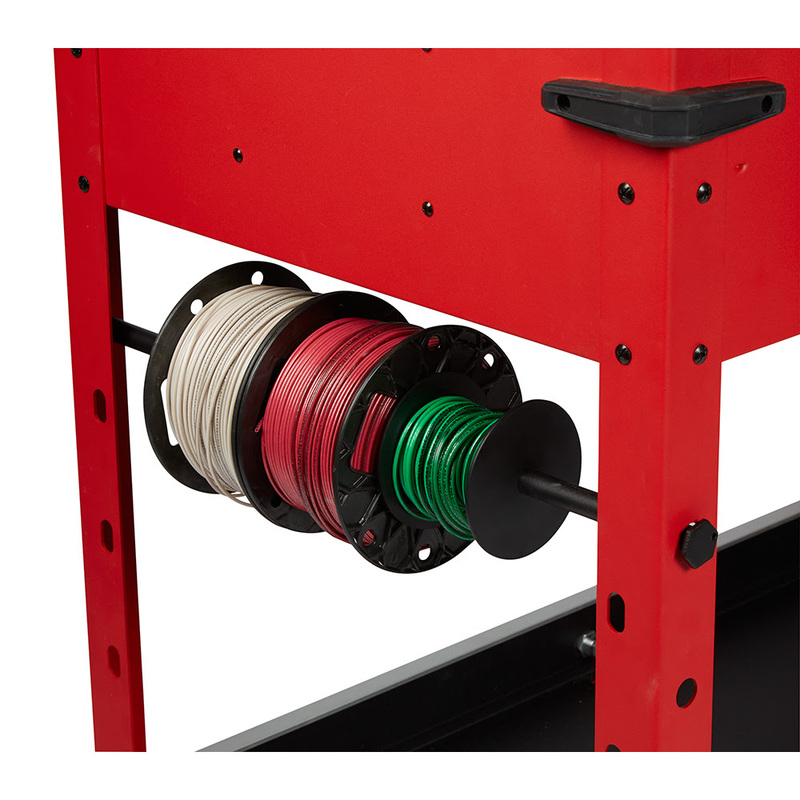 The cart includes two 100lb soft close drawer slides (one at the top and one at the bottom of the unit), built in power center for instant access to power just like their other steel storage products have, removeable storage cups, and an integrated wire spool holder. For added utility, the 40” Steel Work Cart also comes equipped with moveable utility shelves. 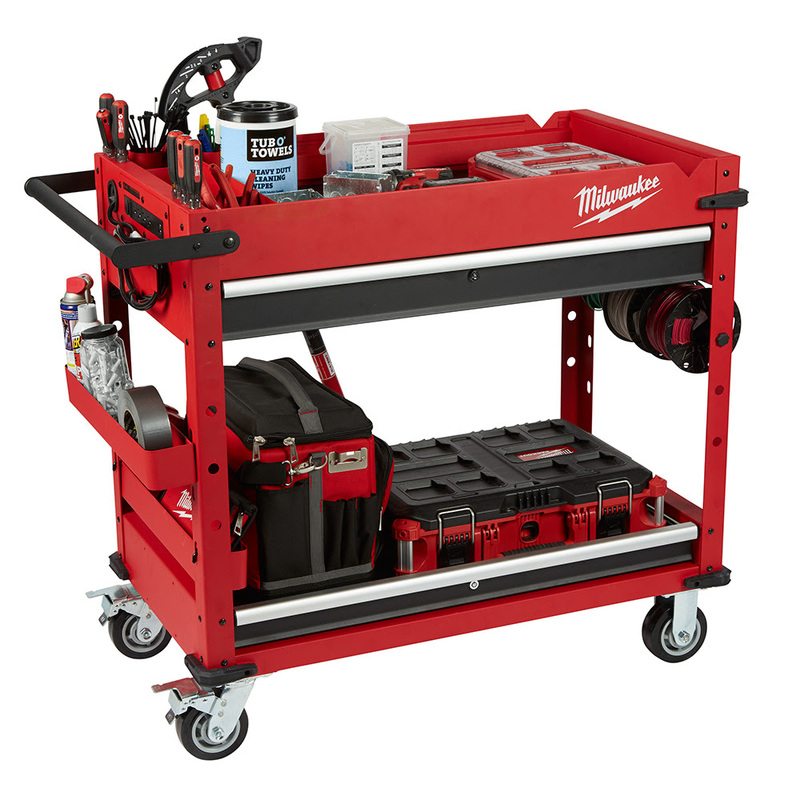 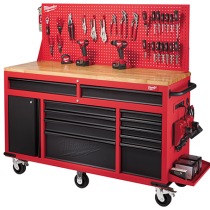 The Milwaukee 40” Steel Work Cart 48-22-8590 will be available this month April 2019 for $399 at launch.